Drivers with Qatar license plates are the second worst offenders worldwide when it comes to unpaid parking fines racked up in central London. This week, London’s Westminster City Council released a list of the top 10 countries whose nationals owe the largest amounts. The worst offending foreign drivers are apparently from France. They owe a collective £356,000 (QR 1.76m) in outstanding fees. Qatar came second on the list, with a whopping £191,105 (QR944,834) still owed to the central London district, home of Buckingham Palace and myriad other landmarks. 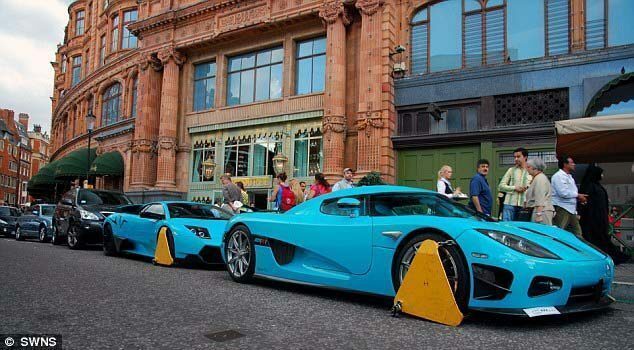 Meanwhile, the UAE came third, with unpaid fines totaling £116,030 (QR577,540). Westminster City Council said in a statement that this year’s top 10 ranking contained more Middle Eastern countries than ever before. Saudi Arabia entered the list this year for the first time in eighth place, and Kuwait is also on the list, in ninth. They edged out countries who’d previously featured prominently in the rankings, including Switzerland, the US, Italy and Luxembourg. Qatar came third in last year’s rankings after France and Germany, with total fines of £114,605 (QR570,439). Westminster City Council said that it has been difficult to contact vehicle owners abroad to collect the fees. It has asked the British government for help in establishing a system of international cooperation to allow local authorities to trace foreign motorists. It added that it was constantly working with foreign embassies and governments to persuade their nationals to pay their dues. It also said that it was in the “early stages” of trialling a process of obtaining a judgment in the UK against foreign persistent evaders, with the potential to transfer proceedings abroad. “Drivers who park irresponsibly are a nuisance for our residents and visitors alike. This should be a reminder that a foreign number plate does not give you immunity from the law,” he said. The world-famous Red Arrows will fly over Qatar’s Corniche on Sept. 30 at 4:30pm, the British Embassy in Doha has announced. This will be the first time in four years that the Royal Air Force will perform in Qatar. At that time, the UK had been trying to sell the fighter jets to the government. But this upcoming visit comes shortly after Qatar agreed to buy 24 Typhoons from the UK, a deal worth billions of riyals. The Red Arrows will also head to all the other Gulf countries in the coming weeks, to help show that the UK is “open for business” around the world, the nation’s defense minister previously said.